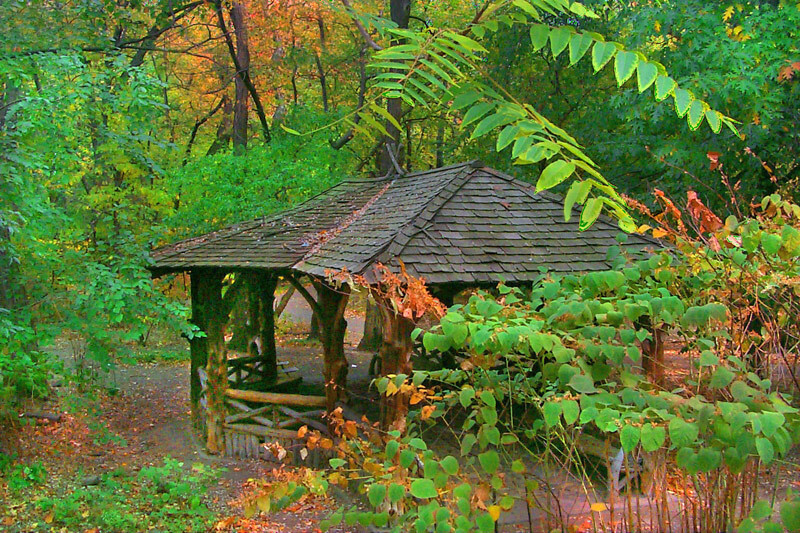 Miami In Focus Photo Gallery of the Rustic Shelter C75 in Central Park. The second path to the right on the opposite side of Bow Bridge in Central Park leads upward into the intricate maze of paths that seem to randomly penetrate the dense forest of the Ramble. 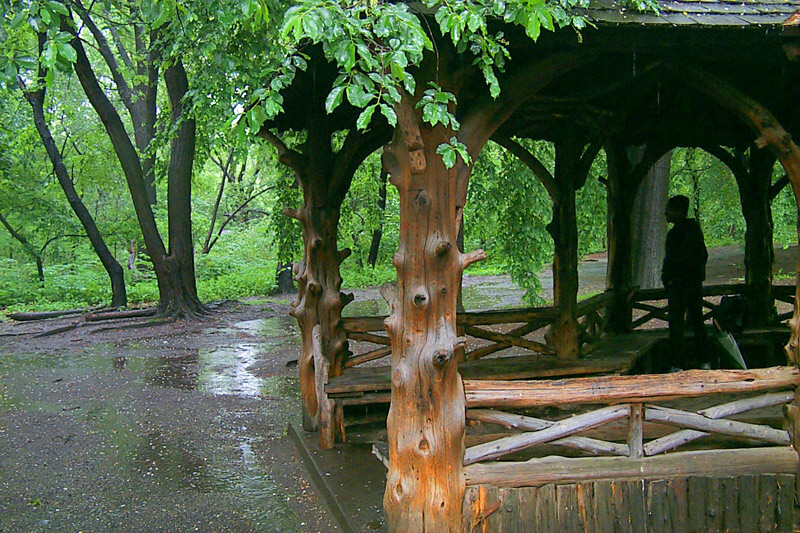 If you just continue walking along either of the two next intersecting paths you will eventually see, peeking from the foliage which engulfs it this wood shelter. It is rewarding to take a moment to rest on the rustic bench within and enjoy the sounds of the forest wildlife that surround it. One might imagine a wilderness if the setting were not, in fact, at the heart of the most frenetic city in the world.